Cosimo was invited by practitioners still residing in the vicinity of what was previously ‘Namgyalgar South’, now owned by the Drogmi Buddhist Institute and known as ‘Kamalashila Tibetan Buddhist Centre’. 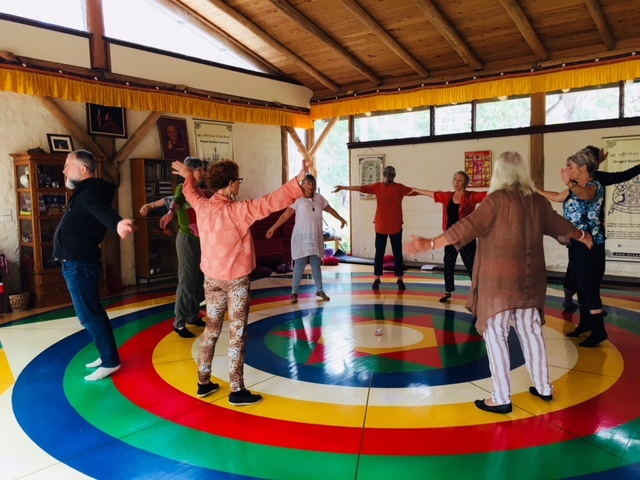 Practitioners hire their Gönpa for weekly Vajra Dance practice using the dance mandala which still exists and is covered by carpet when not in use. For the deepening course the Gönpa was hired for three days and an invitation was extended to all practitioners experienced in The Song of The Vajra Dance to participate. 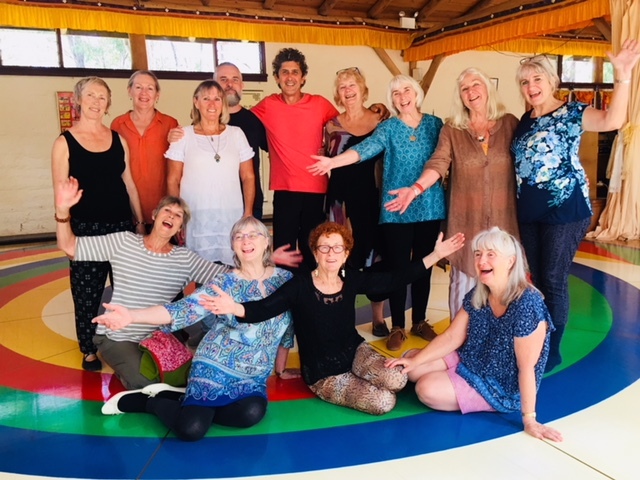 The purpose of the course was so participants could refine and correct their knowledge of foot placements, movements and hand mudras which Cosimo patiently clarified, working through each line of The Song of The Vajra, for both male and female parts. 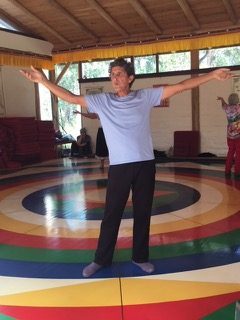 Two of the mornings started with an essential Mandarava practice followed by the dance of the Song of Vajra and the dedication of merits before commencing lessons with Cosimo. The days were very full mainly with dance as well as a little time out for tea breaks and lunches together offsite, including one day at nearby Mystery Bay beach. 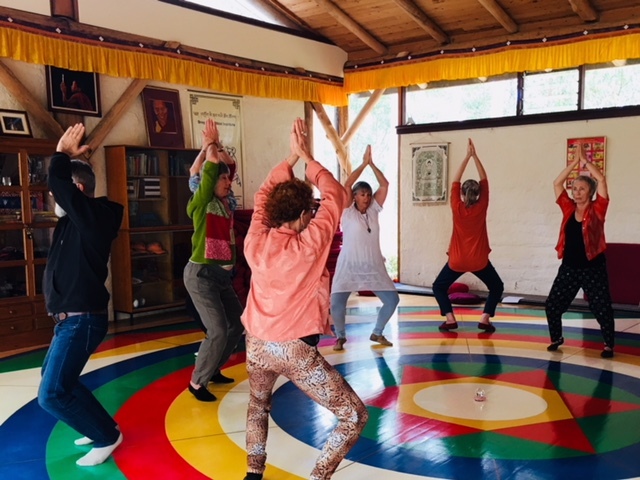 Participants, including practitioners from Sydney, Canberra and Victoria, were most appreciative of the opportunity to deepen their knowledge and experience of the Song of Vajra Dance with Cosimo, and to connect and enjoy some relaxing moments with vajra kin on what was a very special occasion.